Brand new Brazilian CowHide Rugs are in stock. All these hides are from Brazil, hand picked, individually selected to make sure the quality the shade is unique and rare. 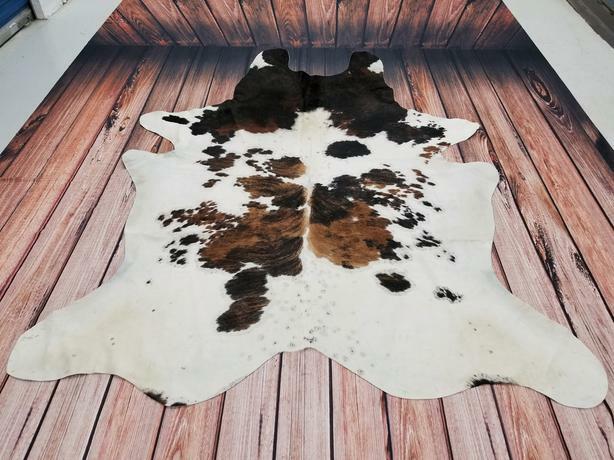 All the cowhide skin rugs are natural, real and chromium tanned. These best of the quality you can find. Over 100 shades of cowhide carpet in stock, ranging from natural to printed to metallic, all these shades are very unique and you will love the softness. These cowhide rugs are perfect for home staging, interior designing, hotel designing, back is tanned to suede leather, making it great for upholstery. These cowhide rug are very easy to clean, just light vacuum time to time or shake off the dust. Any questions please feel free to text or call me at 416 822 2264. Size Ranges From 5ft by 5ft To 7ft by 7ft. Free Delivery or Shipping all over Canada and USA. Text or Call or Email and i will send you all the images of hides in stock.